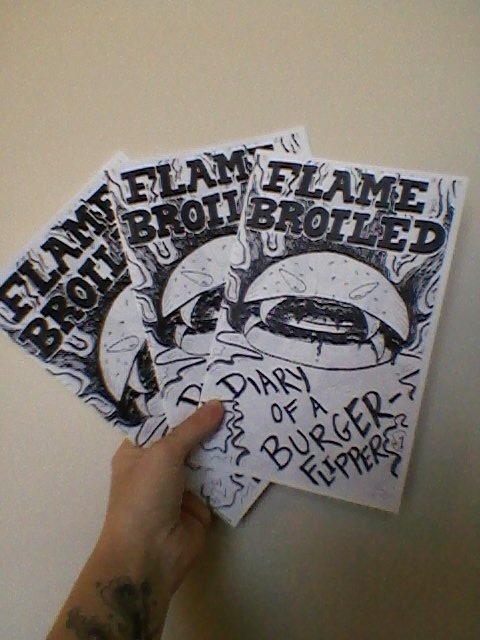 Here’s my contribution to Minicomics Day: “FLAME BROILED: DIARY OF A BURGER-FLIPPER,” a 10-pager concerning the minutiae of fast food employment. 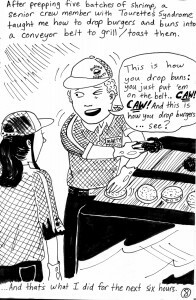 In this premiere issue, Betty gets her first job at Burger Shanty and learns how to toast buns, prep shrimp salad and more! Meet the diverse Burger Shanty crew, representing an underground culture rarely depicted in the media. 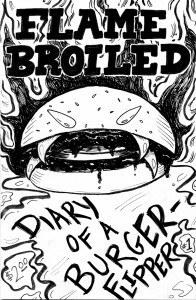 Not an exploitation, not a dissertation, just an incidentally funny and honest glimpse at behind-the-scenes burger-flippin. 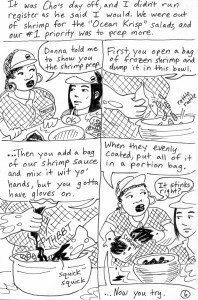 $2, free shipping. contact me or visit my Etsy store to order your copy! 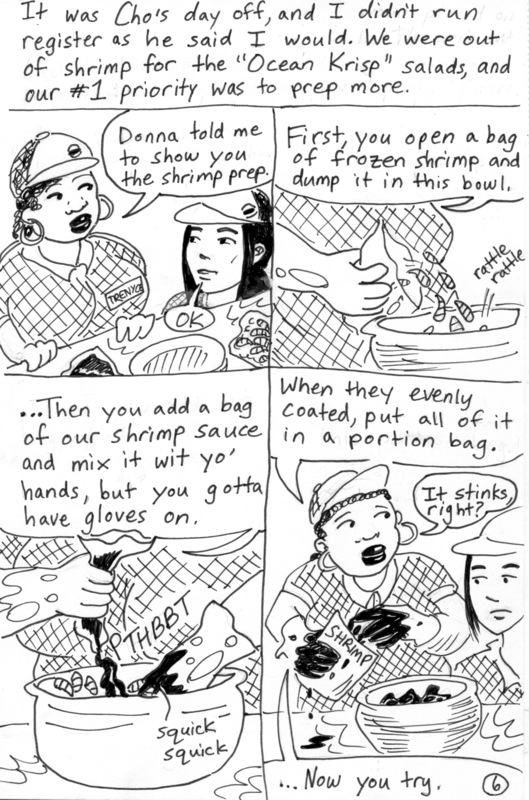 Yes, it’s Xeroxed, and, yes, it shows, but don’t you miss those simple days? 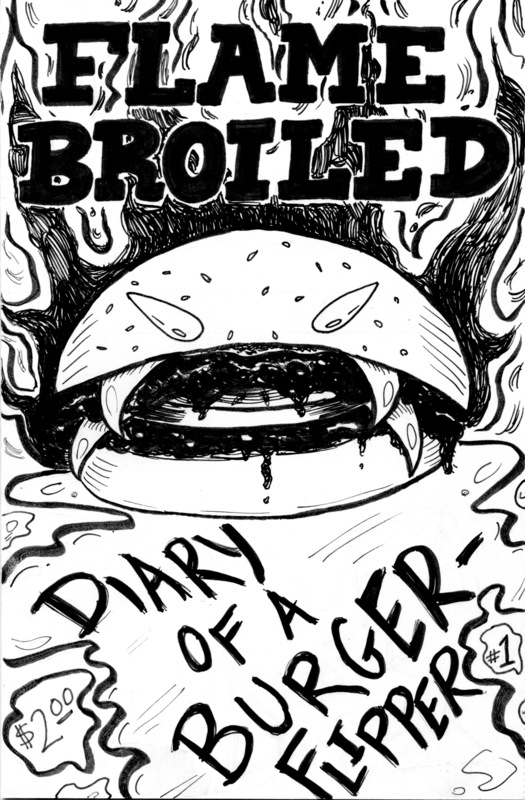 I’m hoping to make this a series, developing the characters more and telling more fun stories with each issue. Once again, CONTACT ME TO REQUEST YOUR COPY TODAY! I also have some copies in my Etsy store.